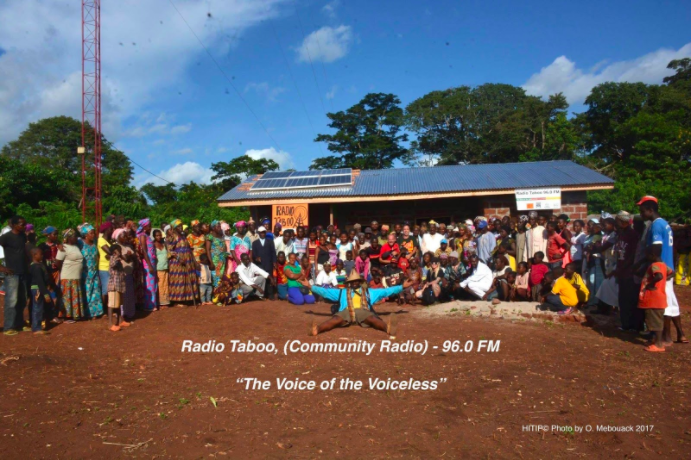 Radio Taboo is a community radio station and a development pilot and off-grid project based in Cameroon. Community Radio - local frequency 96.0 FM. "The Voice of the Voiceless". Radio Taboo is first and foremost a development project. The idea comes from the founder of this community radio project, Mr. Issa Nyaphaga, and is supported by his collaborators and members of the organization, Hope International for Tikar People (HITIP). It is a non-profit, community-based organization established to improve the quality of life for marginalized indigenous Tikar and Bedzan (Pygmy) people in Cameroon. HITIP collaborates with local villages to implement sustainable health, education and art projects to meet the needs of at-risk individuals and communities as a whole. 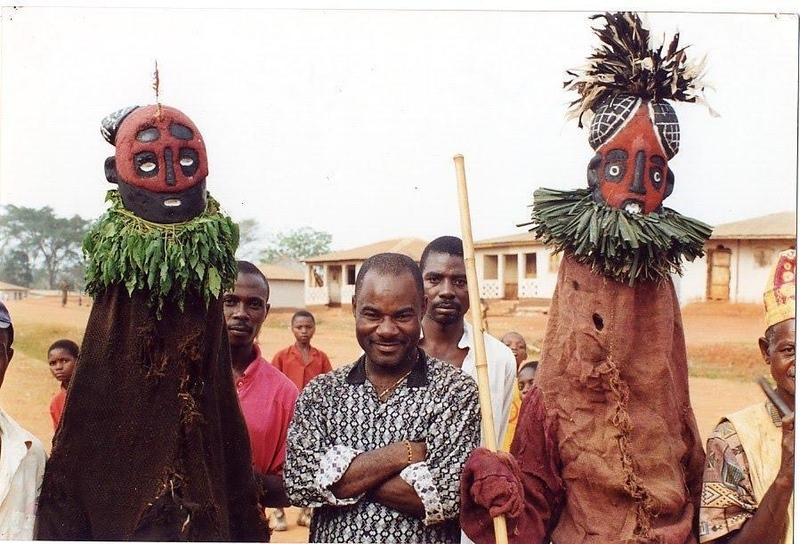 Radio Taboo is based in the Central Region of Cameroon, Mbam and Kim Department, and the Ngambé-Tikar District. This community radio station powered by solar energy and is the first radio station established in this remote area. As its name suggests, Radio Taboo is created to address taboo topics which are a large part of the culture in rural areas where people lack access to infrastructure such as schools, community libraries, running water, electricity, decent medical care, and passable roads. These people are hard working farmers whose ethno-traditional culture is vast and largely oral. 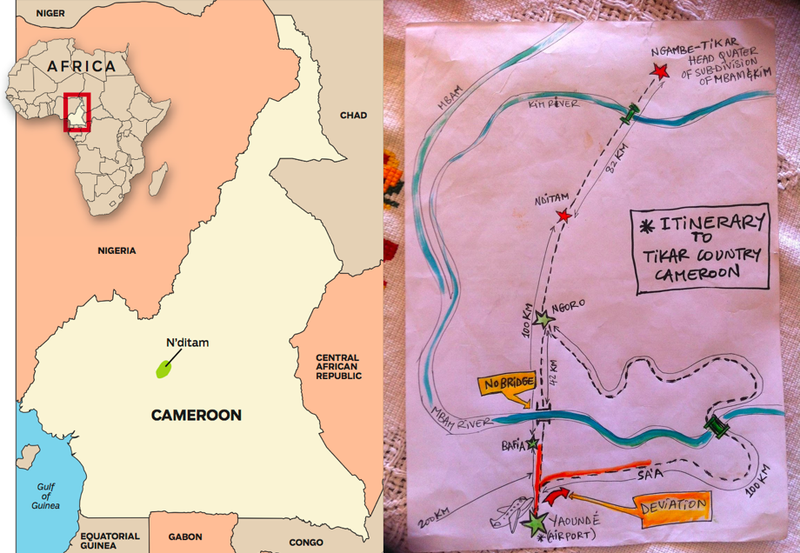 Left: location of Cameroon and the Radio Taboo site. Right: Depiction of the isolation of the project site. The cultural and traditional rites of the people living in the ‘Tikar Plain’ region are immense and diverse; there are about twenty local languages and dialects that are primarily oral. The cultures are expressed in dance, art, and music. 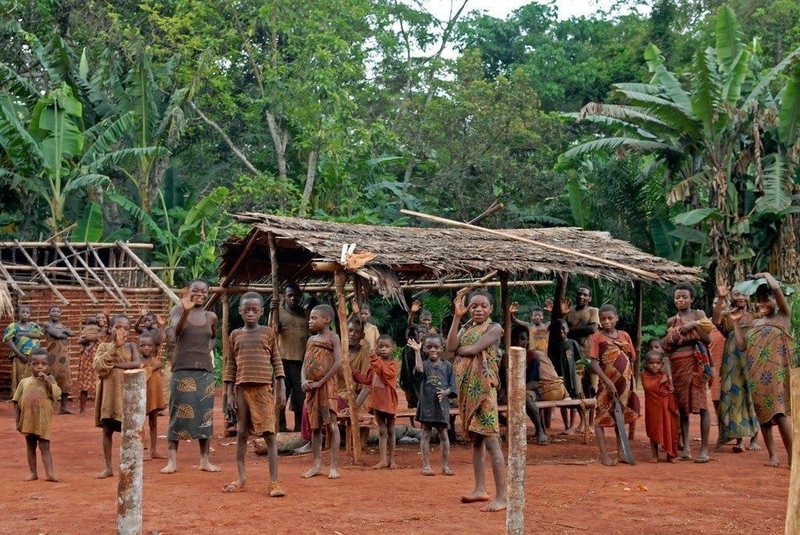 One of the continent's oldest first nation ethnic groups, the pygmies, live here. This specific group of pygmies originating from the Tikar plain, are called Bedzan. They are connected to the forest and live in more or less social cohesion with their Bantu neighbors, the Tikar people. The indigenous pygmy population lives in utter poverty, and deforestation is threatening their way of life. The target audience is mostly indigenous, illiterate, and socially marginalized. 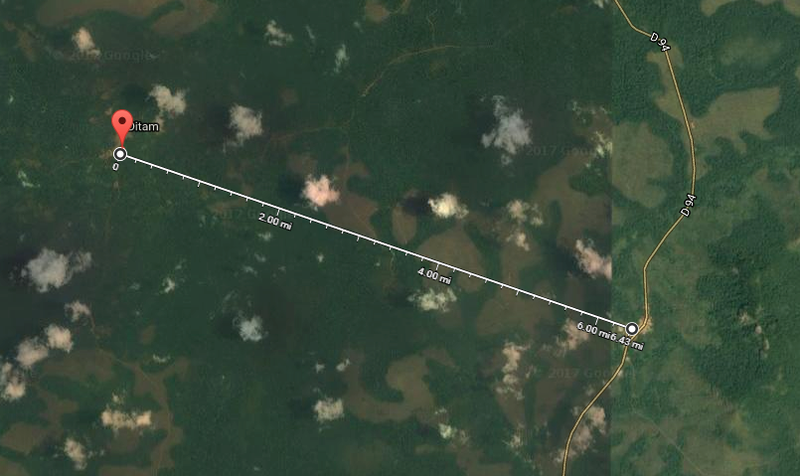 People living in the area are victims of deforestation that threatens their ecosystem and their way of life. Agriculture and artistic and cultural practices are less valued than the proceeds of logging. The goal of Radio Taboo is to fight rural isolation, illiteracy and the rural exodus of young people. The Tikar people have a popular saying: “People are our best investment.” One of the primary goals of Radio Taboo is the empowerment of rural women who are the backbone of indigenous societies. Another is to educate the entire community about public health and environmental issues - e.g. HIV/AIDS is poorly understood, polio vaccines are avoided in some areas, forced marriages, domestic violence, breast ironing of girls, and other abuses affecting women and young girls in Cameroon. This radio station will provide a necessary voice to communities in an area that has limited access to the outside world. A satellite view of the Radio Tab broadcast site. The slogan of Radio Taboo community radio is "The Voice of the Voiceless". The project’s goal is to serve about one million people in 10 languages - French and English, Tikar, Balon, Bamoun, Djanti, Hausa, Bavek, Foulani, and Babouté. Why so many languages? 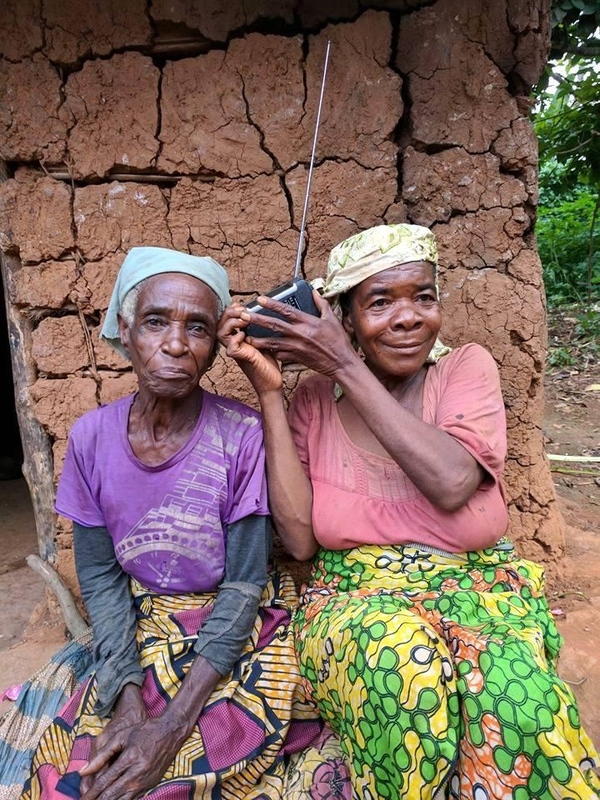 In rural Africa, which is a largely tribal society, different ethnic groups share challenges and realities, and so HITIP's goal is to create a radio station with several voices under a single frequency that promotes togetherness and understanding. Radio Taboo is intended to rehabilitate spoken languages and disappearing cultures. It also provides practical information such as advice on public health, agriculture, sport, and rural development. 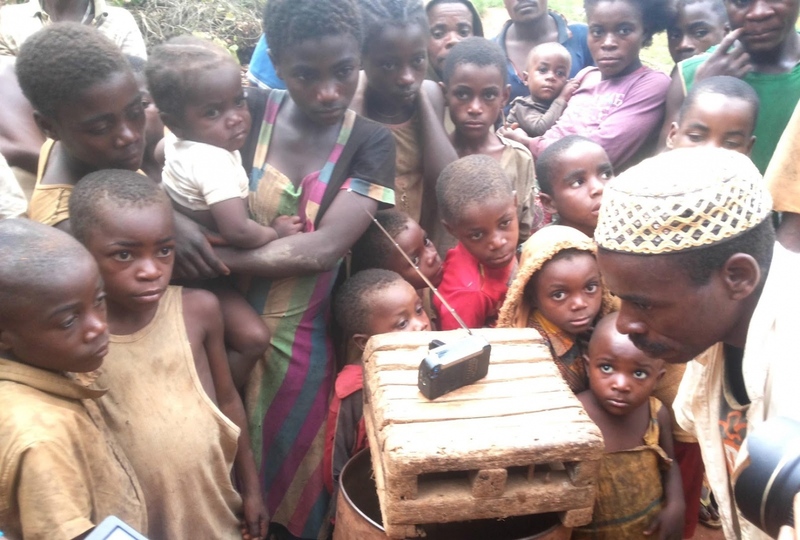 A large part of our audience, the "Bedzan" pygmies, listened to the radio for the first time in the summer 2017. Procedure: - Before construction of the antenna which was the first important structure of the project, the Radio Taboo team completed a Community Mapping and Need of Assessment in 2011. This strategy of identification and discussion by local communities, civil society, tribal leaders and authorities in the region applies to every HITIP project. After successful art, music and crowdfunding online campaigns in 2012, another preliminary mission was completed when radio technicians and building contractors went to Nditam to identify the highest site in the region. 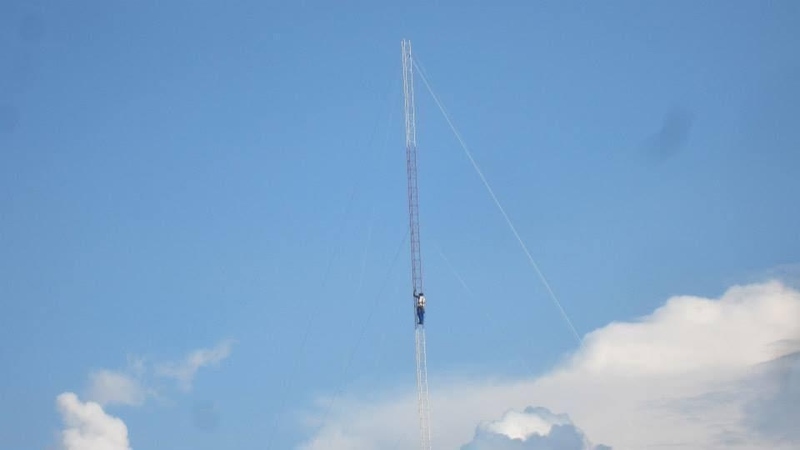 In late July 2012, a 150 foot antenna (50 meters) was built in the village of Nditam, Plaine Tikar in Cameroon. * Nditam is not the highest place but the strategic one, in terms of administration and reaching the entire region. The decision was made by the elected HITIP board. 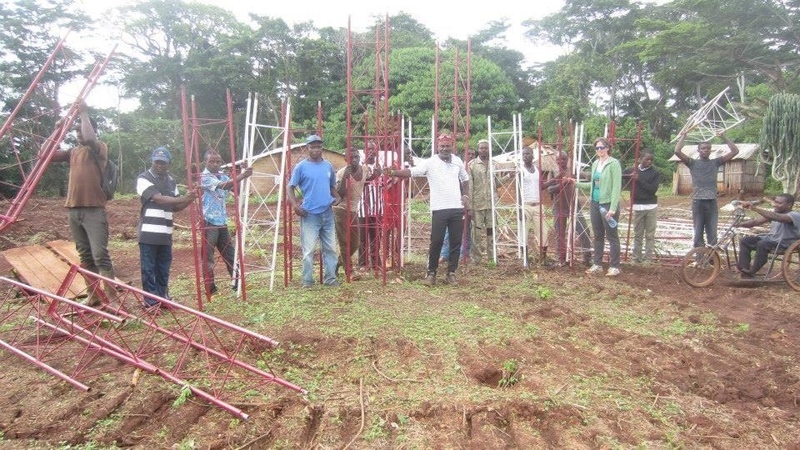 For its construction, the antenna arrived on the site in small parts of 6 meters before being assembled on site by local technicians and the community. Eva Beal, one of our loyal supporters visited the project in 2013. The cost of building the tower is not high, but the site of the Radio Taboo is very remote, which has increased the expense of construction. We are proud that this project has helped support the local economy. In 2013, National Geographic All Roads Grant awarded Radio Taboo with its first seed grant. Media for education non profit Issue Television put on a number of online fundraising campaigns and events to raise funds to create the station. Sophie Rousmaniere and Jay Minton of Issue TV travelled twice to Cameroon to participate in creating this project. Austin Airwaves, a grassroots organization based in Texas, donated a used transmitter and supported the project with research and basic journalism training. Since the idea of Radio Taboo was conceived, 41 artists and composers from around the world have permitted the station to play their music on Radio Taboo. The construction of a building to house the radio studio began by the end of 2016, and was completed by mid 2017, with the help of the local communities who donated land and other supports. Three views of Radio Taboo’s building. From the foundation to the top of the roof. A transmitter, three laptops, two cell phones, recording devices and recording equipment (all used) were offered to us by individuals and organizations across of the world including Issue TV, Alamo Bay Press, and Austin Airwaves. The solar energy panels and batteries, including the technical support needed to power the radio station were provided by many of our supporters, small donors and partners; local and global. We challenged muddy roads, tropical heat and inevitable delays in the jungle to make this radio station a successful project. The station was made of 70% of donated, used and recycled equipments from four different countries; except the solar package that was purchased in the country to support local hand-labor and economy. 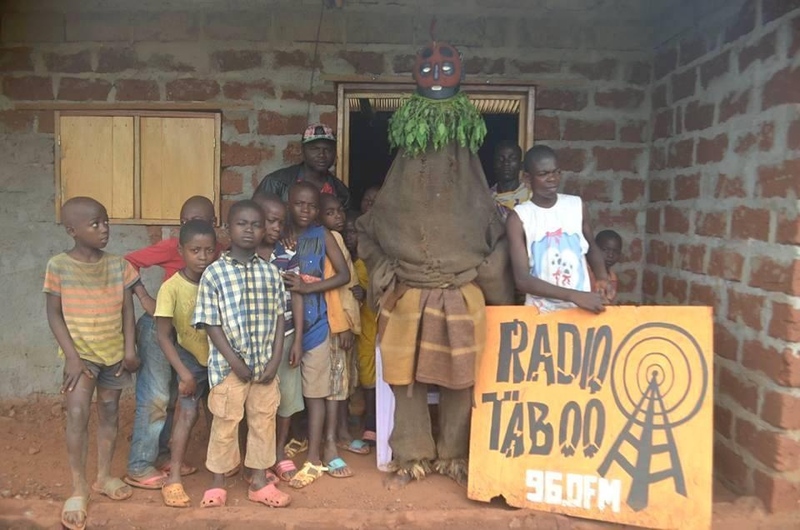 Meliti, one of the Tikar’s gods pausing with children at the Radio Taboo station in N’ditam. Well, we were on 98.5 FM the wrong frequency. We worked through the following days and corrected the frequency. Local listeners can hear us on 96.0FM as well as on 95.8FM. both frequencies work. Like it’s titled, Radio Taboo is discussing things that people do not talk about due to cultural and social taboos and lack of education. The Tower, a150 foot tower we built years ago really helped broadcast beyond 30 miles - less than 28.5831 miles /46 km. on the direction of the diploe, because the landscape can also affect the airwaves. What we discovered is our airwaves unexpectedly reach many communities beyond our anticipated coverage. The Radio Gear and the dipole, an additional antenna was purchased in England from RadioActive. And the used transmitter Austin AirWaves donated. Jim a radio activist from the U.S. traveled with and has successfully collaborated with the technicians from CRTV (Cameroon Radio TeleVision). Jim Ellinger had good influence on people during the first journalism training. Quote: "If you're interviewing anyone, do not record someone without their permission. If you do that, you're not a journalist. You're a spy." State of the roads to Radio Taboo. 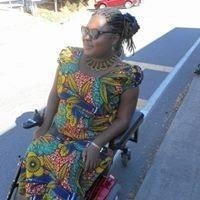 Hilda Bih, director of Radio Taboo in the wheelchair. 1. We broadcast only six hours a day now. It would be better if we spend 12 or 16 hours a day but we are limited due to lack of solar energy. (We will need more solar panels and more batteries to store enough energy for a continuous broadcast of more than 12 hours of time. 2. The current transmitter has only a 40 kilometer range from the broadcast location. 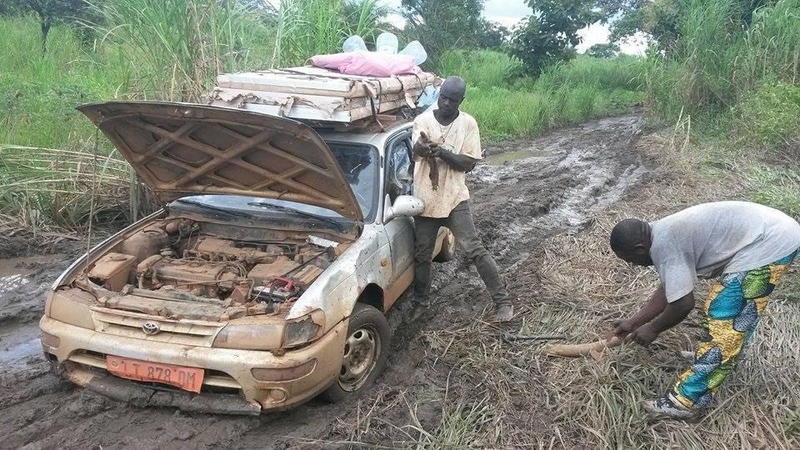 It would be preferable for programs to reach the government District Headquarters in Ngambé-Tikar, so that Radio Taboo is not subject closure by the government due to suspicion of conspiracy. We really want the local authorities to listen to the community news we are broadcasting to citizens. 3. The broadcast studio is soundproof and without ceiling and anyone approaching the building can hear broadcast sounds from outside. 4. Since the launch of the radio on July 23, 2017, no sustained technical training in radio broadcasting and journalism has been provided to the staff of Radio Taboo. The Radio Taboo team is eager to work hard in following the basic rules of journalism. Technical and journalistic training would be a tremendous help to the station, which has already inspired many Africans from other countries to start their own community radio stations. *Proof of Concept (PoC) is a realization of a certain method or idea in order to demonstrate its feasibility, or a demonstration in principle with the aim of verifying that some concept or theory has practical potential. A proof of concept is usually small and may or may not be complete. In Africa and in a large part of the developing world today, access to technology along with social media is growing. Regular radio and cellphone are the second thing farmers buy after purchasing farm tools. Community radio is emerging as an efficient model to counter global terrorism, also an urgent response to natural catastrophe, and a reliable source of educational information in the poorest rural communities. Only few months after its successful launch, many communities in the developing world have been inspired by this model. Indigenous community leaders from Kenya, Malawi, Chad, Cameroon, Togo, Ivory-Coast, Senegal, Mali, Nigeria and also Colombia have reached out to us and requested technical assistance to establish their own community radio stations. We have been working to expand this concept in Sub-Saharan Africa. To replicate this model in any poor village in India, Africa, Brazil or Latin America, the concept of community radio can be adapted depending the needs and realities on the ground. The station could be mobile on 4X4 truck or in a backpack; it could be powered by windmill; a tree or a mountain could serve as a tower for broadcasting. Moving forward to establish other community radio stations, we will apply the economy of scale concerning funding. *Economies of scale are the cost advantages that enterprises obtain due to their scale of operation (typically measured by amount of output produced), with cost per unit of output decreasing with increasing scale. 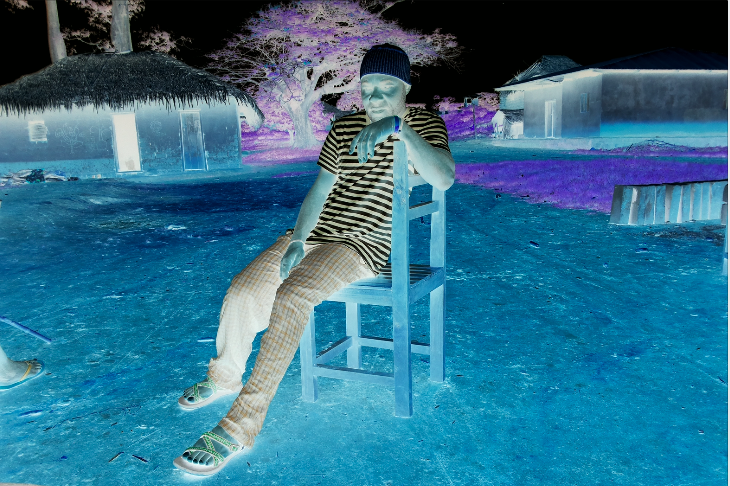 Radio Taboo is a documentary film project – it’s the story of a political cartoonist who returns to his village after 16 years of exile, to build a radio station in his small native village in the equatorial forest to educate his people. *Convinced that leaving a story in the dark will be marginal, it is for this reason that Issa Nyaphaga has agreed to be followed by a crew film, so that Radio Taboo’s story can inspire the world: https://vimeo.com/139663273. While publishing this document, Radio Taboo has succeeded in broadcasting for 100 days using 75% recycled and donated supplies. After hundred and three days, the transmitter started coughing; this showed the desperate need for new equipment for the station – mostly the tower cables, the transmitter and the supplies that go with it. A sponsorship or partnership grant would be a tremendous help in making the project sustainable and thereby to promote freedom of expression and community empowerment in Africa. 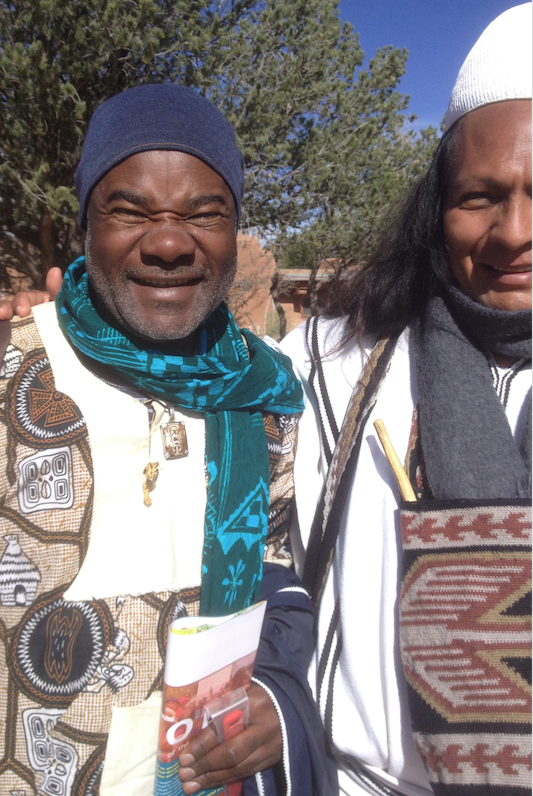 Issa left and Momalito a tribal leader from Peru. Issa Nyaphaga was a caricaturist in the 1990s in Cameroon, where nearly 60% of the population did not have access to education. His satirical journal published comic strips to inform and educate illiterate people. After the establishment of a censorship law, Issa was forced into exile in France in 1996 where he spent 10 years. In France, he collaborated with Charlie Hebdo and met Cabu, Wolinsky, Charb, Luz and Tignous. In 2001, on the occasion of the 50th anniversary of UNHCR (United Nations High Commission for Refugees), Issa delivered a speech at the tribune of the French National Assembly. It defended the World Citizenship and the Geneva Convention. In 2006, he moved to New York to promote his art and several documentaries were made about him and his work. After the Charlie Hebdo editorial attack in 2015, Issa was invited with three other artists to the United Nations Human Rights Council in Geneva to defend Free Artistic Expression. His motion was presented the following year to the Security Council in New York and was adopted. Issa moves between Cameroon and France and is based in Santa Fe, New Mexico USA. 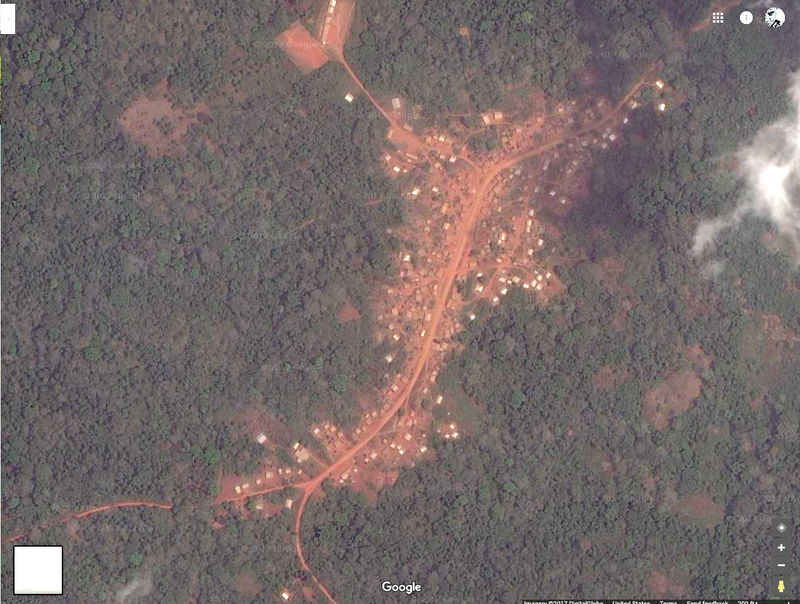 Satellite view of the village of N’ditam by Google Map, where Radio Taboo is broadcasting from. If you would like to donate to Radio Taboo online: https://www.emergentdiplomacy.org/donate highlight “Radio Taboo in this box before contributing. You can also send your check to the address to: Center for Emergent Diplomacy - 1000 Cordova Place, #401 Santa Fe, NM 87505, USA - with the note: "For Radio Taboo". No : 025/ RDA/J11/SAAJP- Article 7 de la loi No 90/053 du 19 Décembre 1990. Siège Social: Ngambé- Tikar Département du Mbam et Kim – Cameroun. B.P: 01 Ngambé-Tikar – Cameroon.